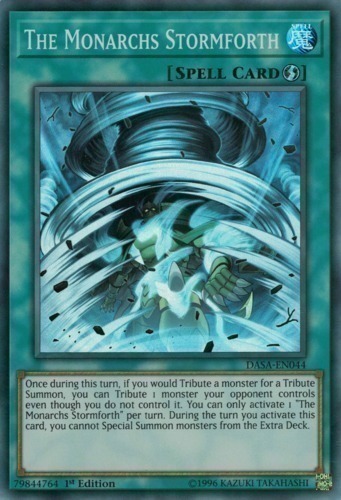 Text Once during this turn, if you would Tribute a monster for a Tribute Summon, you can Tribute 1 monster your opponent controls even though you do not control it. You can only activate 1 "The Monarchs Stormforth" per turn. During the turn you activate this card, you cannot Special Summon monsters from the Extra Deck.